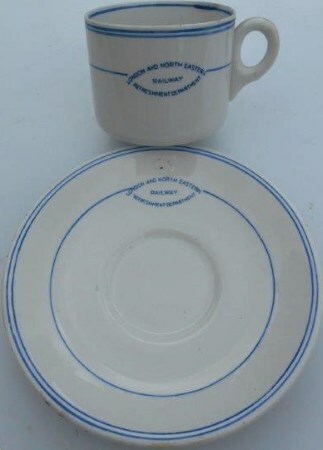 Lot 25A London and North Eastern Railway Refreshment Dept. Blue and white Tea Cup and Saucer (cup has crack in base). Maker's Poutney & Co Bristol. VGC.